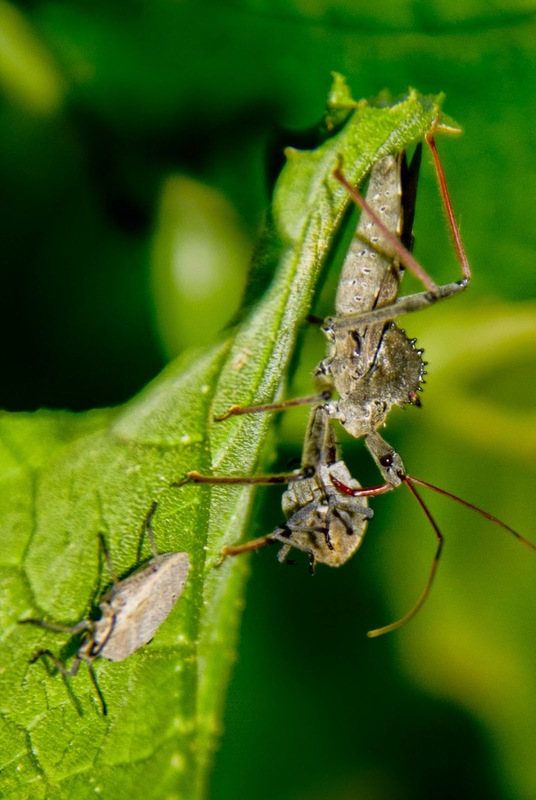 The Wheel Bug is a great asset to any organic garden. Here I try to give some photographic justice to the intriguing nature of these insect beasts. Up close, they appear as a dinosaur-like throwback in some old-timey horror movie--a creature you definitely would not want to meet on their turf. That has to be the feeling of some of these other insects who met their fate at the "beak" of these fierce looking bug-suckers. This Wheel Bug is doing great service by attacking damaging squash bugs. The next dinner waits nearby as its cohort gets eaten. 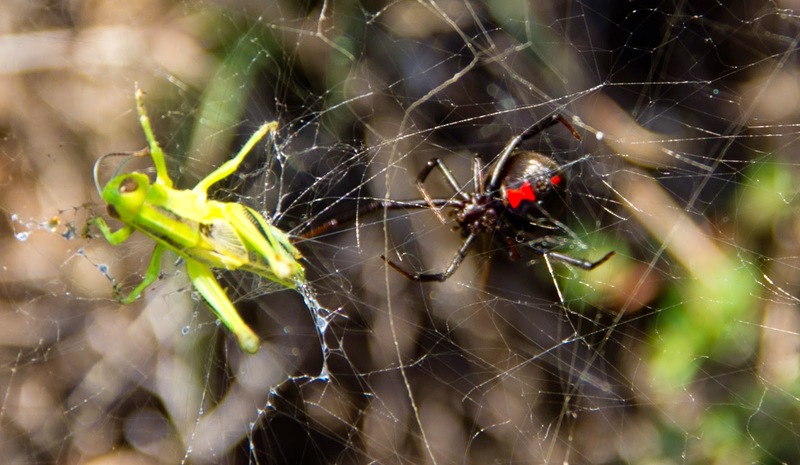 Not necessarily an animal you wish to run in to, this Black Widow spider makes short work of an unlucky grasshopper. 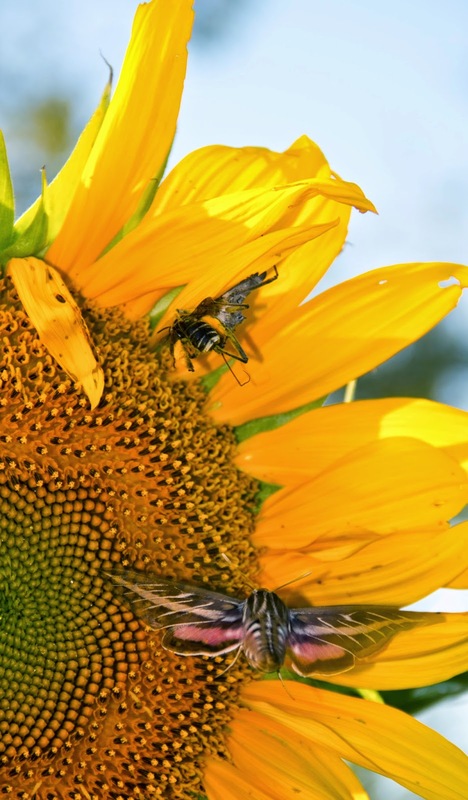 This White-lined Sphinx Moth curiously visits the drama at this sunflower while feeding on its nectar. 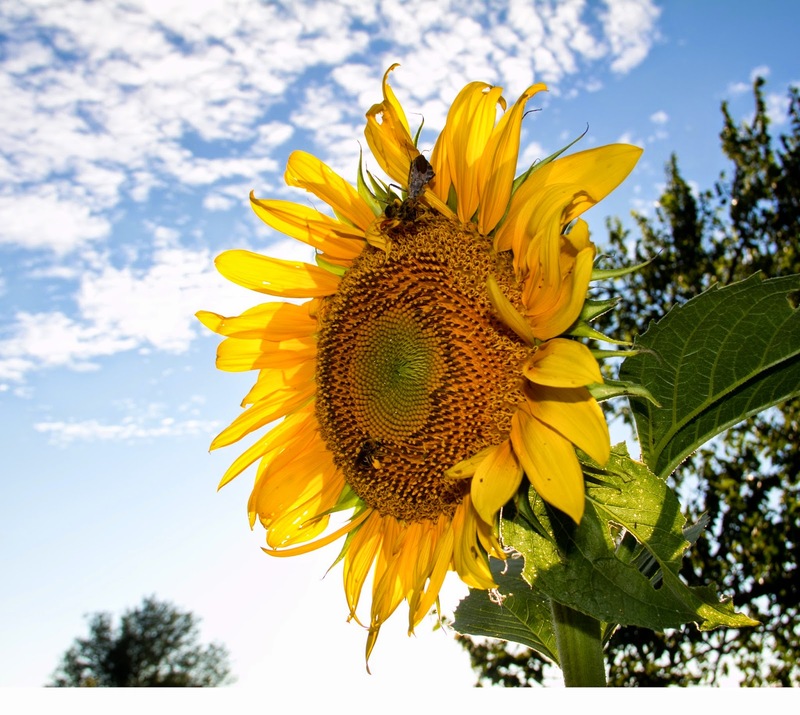 A giant sunflower attracts much attention from a variety of insects and creates a battleground for garden dramas of life and death. 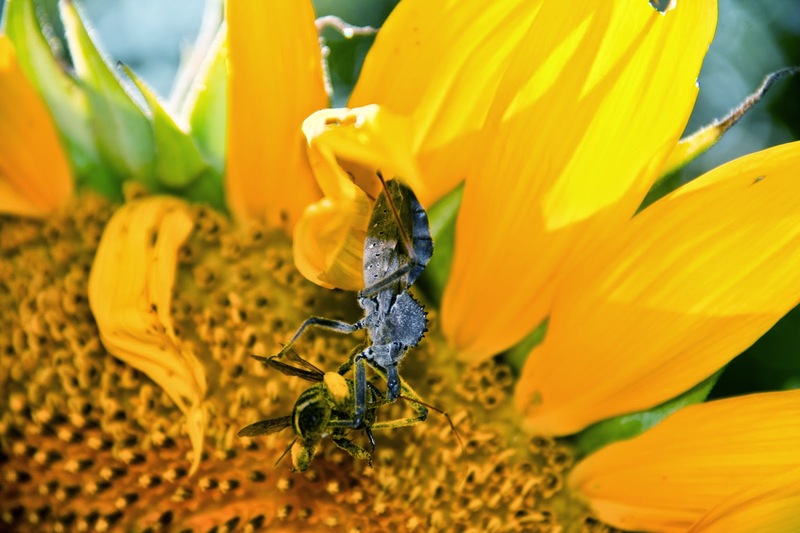 Up close, this Wheel Bug has captured a Digger Bee for supper. I do wish they wouldn't get my wild, native pollinators but they aren't too discriminating when it comes to their food. They eat a lot of squash bugs so they earn their keep. 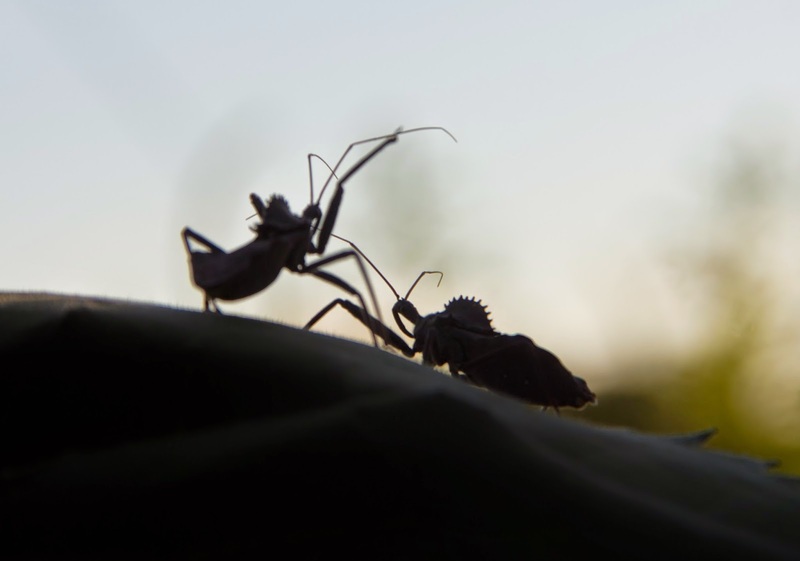 Wheel Bugs battle each other for territorial rights.